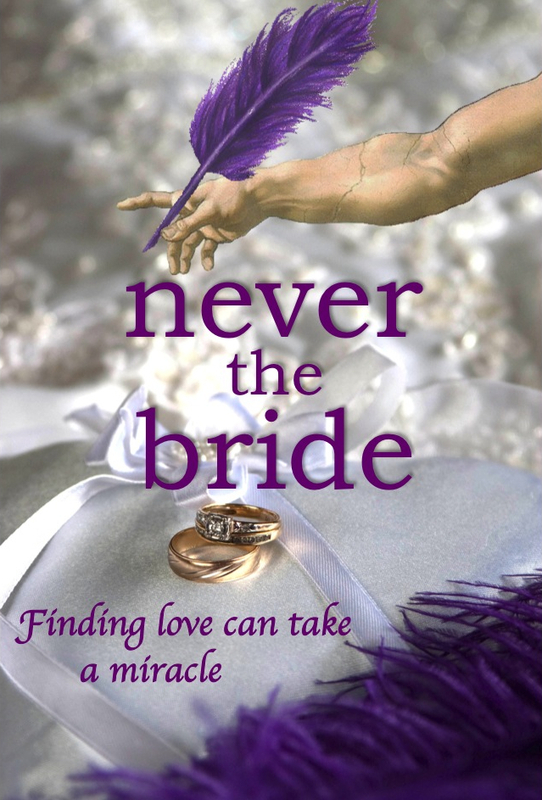 What if God offered to write your love story? JESSIE STONE, 34, has always had fantasies of the hundreds of romantic ways her man could propose, documented in journals she’s filled using her purple pen, writing her ideal love story. Then there’s reality: more like a nightmare. Everyone around Jessie seems to be in love or getting married. After speed dating on Valentines Day turns into disaster, Jessie sinks to a new low when someone quips that it’ll take a miracle of God to help her, prompting Jessie to retort that God has been asleep on the job of setting up her love story. That’s when God shows up, looking her age and wildly attractive—definitely no George Burns—ready to answer to her charges. Mistaking him for a stalker, Jessie tries to have him arrested. Then she realizes this person claiming to be God is invisible to everyone but her, including the cops who show up to rescue her from her so-called stalker. God says he wants to be Jessie’s matchmaker; he’s offering to write her love story. But why should she trust him? He has yet to set up anything good in that area of her life. He agrees, considering she has the control (a.k.a. the purple pen she uses to pen her own romantic fantasies). A bit of a control freak, surrendering her cherished purple pen will not come easily to Jessie. Once she accepts his challenge, a rollicking tug-of-war ensues over who’s really writing this story. Jessie has a tough time not offering input, like suggesting God open the eyes of her best friend, BLAKE, who’s never seen her “that way.” There are many things God asks her to do that make no sense to her, starting with his instruction that she must give away her proposal ideas—those idyllic scenarios she’s penned year after year in her journals. The idea of giving away what she wants most for her life—to other couples—has zero appeal, but she has to if she wants God to pen this story. Desperate, Jessie quits her dead end job and opens a business to stage proposals. Jessie is always trying to figure out what God is “writing.” Will he wake up her best friend? Or is something at work with CLAY, the man who shattered her heart years ago? Clay reenters her life, raising Jessie’s hopes, but when everything blows up in her face, she questions whether or not God was really there at all. It’s only after Jessie ultimately lets go, that God is able to deliver to her a love story beyond anything Jessie could have written or imagined for herself.